‘Unite Singapore 2018’ was held in Singapore on November 16 last month. I participated in several sessions related to AR/VR that I am interested in. Last time, as one of them, I introduced one session called ‘Powering the adaptation of XR in business’ that was talked about a case of XR in Sweden. This time it is a case of AR in Malaysia. 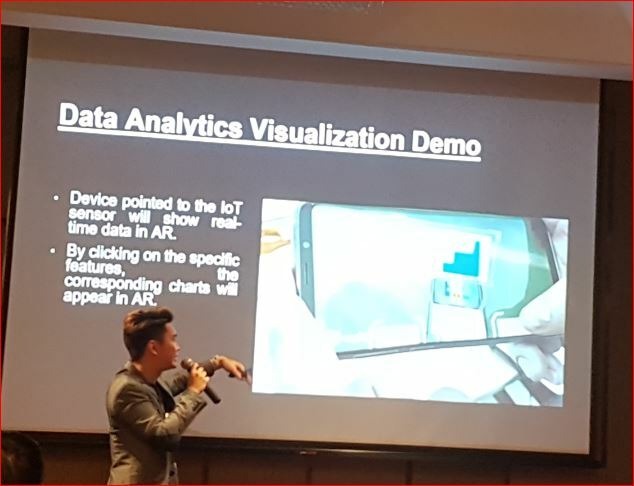 I will introduce the session called ‘Visualizing Data Analytics in AR – An IoT Simulation Case Study‘ held by Jason Low who is the Co – Founder of Tiptech 360. 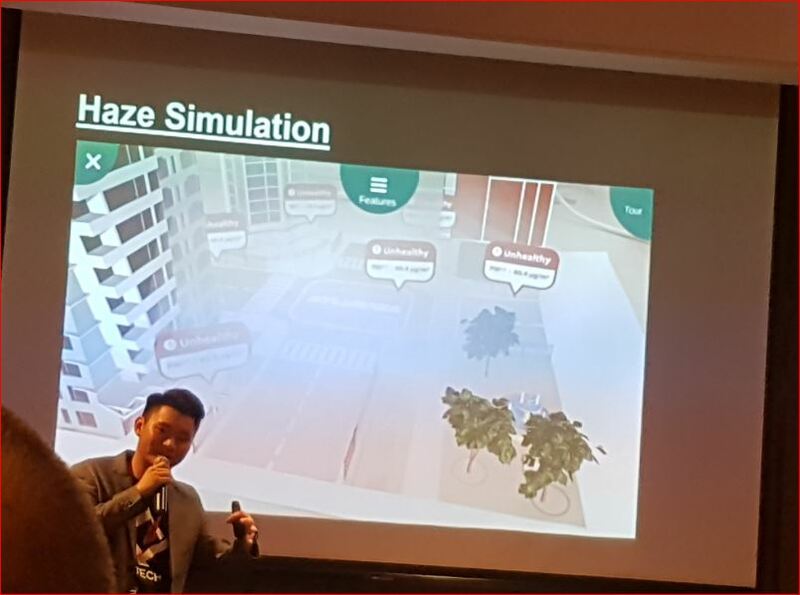 Also, this speaker Jason Low was doing a session in last year’s Unite Singapore 2017 about AR. 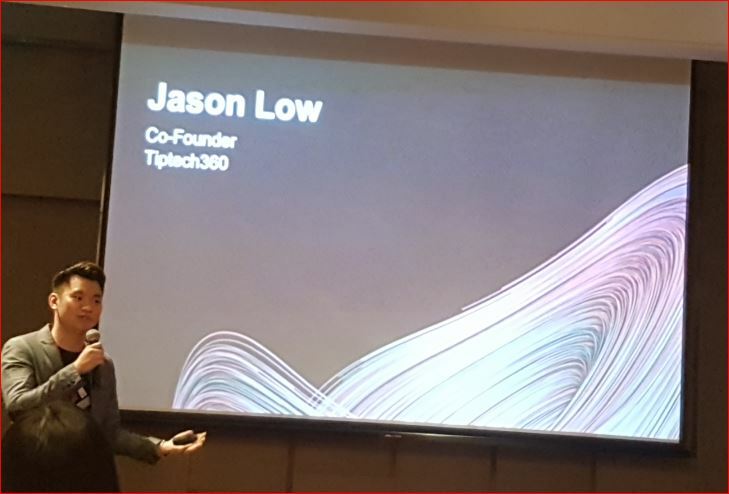 His company Tiptech 360 ( http://tiptech360.co/ ) is located in Kuala Lumpur, Malaysia and mainly engaged in the development of AR and VR. 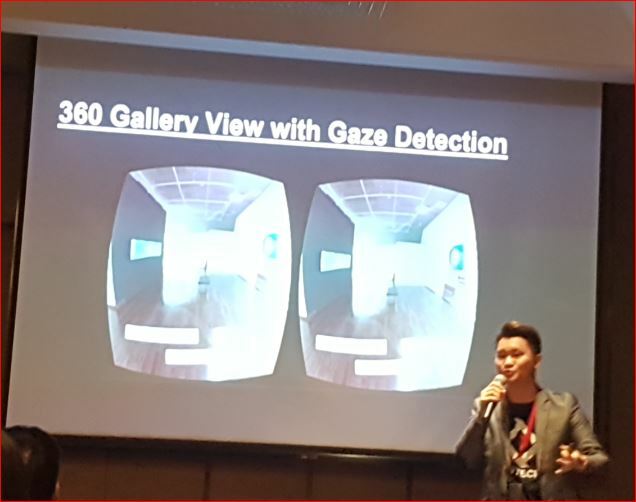 In the session, he introduced three AR cases that his company handled in Malaysia. 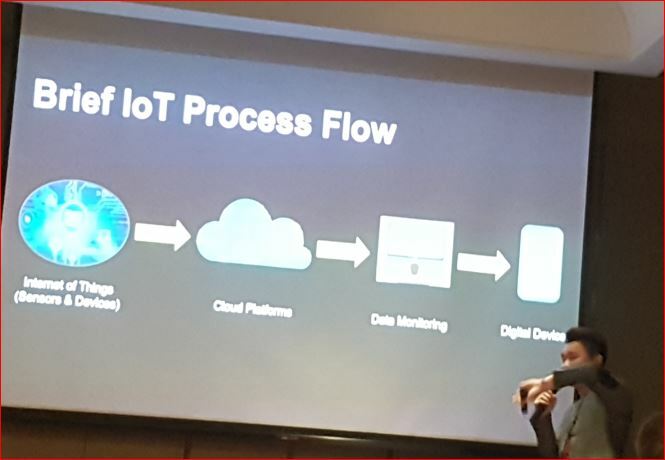 All of them cooperate with IoT and AR technology, and it is a key issue how to visualize the data gathered by IoT sensors with AR. The first example is a tool to visualize the data of IoT sensor as Data Dashboards in AR. For example, it obtains various data such as temperature, electric power, acceleration etc. about some equipment in the factory by sensors. And they also acquire the position information of these sensors. Those data is collected on the Cloud, and then make the information user needs. And the tool displays on the user’s device with the graph appropriated for the data at suitable position of the actual equipment as AR. Since it is information gathered on the Cloud, even if you are not on the site, you can also see it in graph form without using AR. This AR tool was developed with Unity. The second case is an example of Kuala Lumpur’s National Art Gallery. He said that the AR offer the arts information to visitors who visited near specific arts at the museum. When the visitor comes near the art work, the art information is sent from the beacon to the mobile device of the viewer using Bluetooth. The application received that information and inform user about the art work nearby which is compatible with AR. And by the application, you can see the information of the art pieces in AR form. Also, receiving information from the mobile device of visitors, the art museum side can analyze what kind of people were interested in which art pieces. This application is developed by Unity. 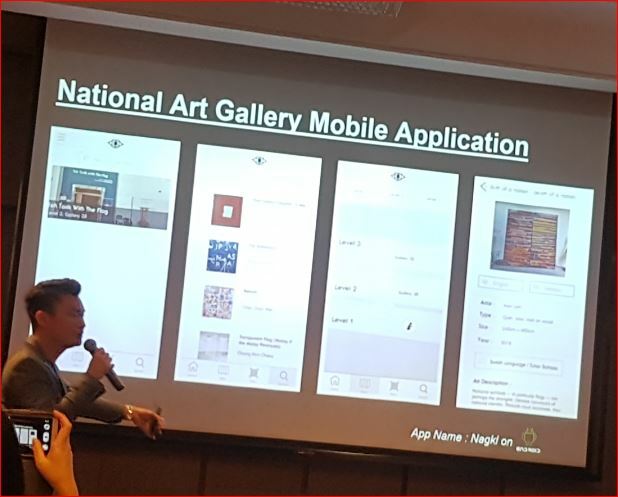 Since this application is used by the museum visitor, it is necessary to prepare Android and iOS version, then he talked about the merit of Unity that it could be easily developed for both. 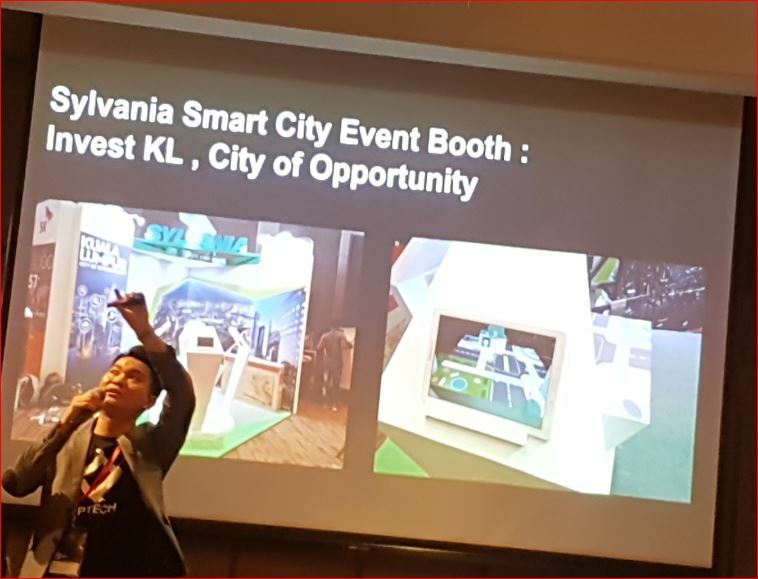 The third case is an example of Smart City Simulation using AR. This is a just simulation saying that AR and IoT are useful in Smart City, not yet made some applications and AR tools. It is to visualize Wifi radio waves with sensors installed in town and to visualize weather information and haze observation values that are often problematic in Southeast Asia. There was no surprise in these cases he introduced there. However, again, the combination of IoT and AR seems to be very compatible. I’m also thinking of studying this combination more.